Do you struggle with dry hair that just never seems to hold any moisture? 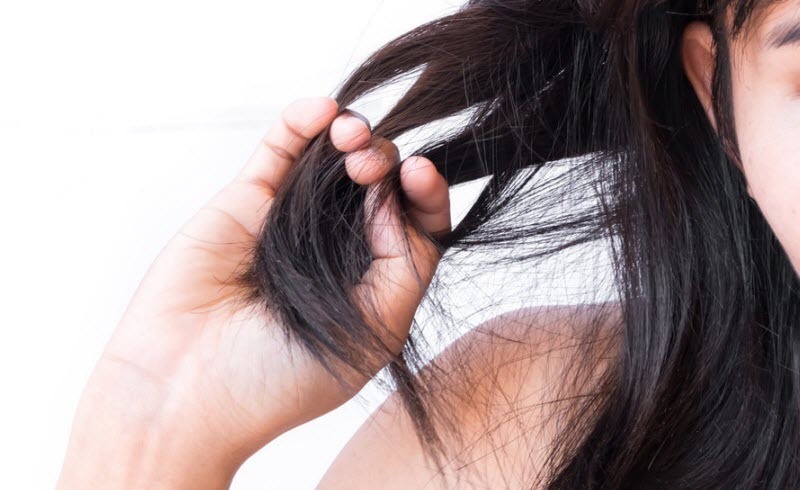 Here are six hair care tips for dry hair that should help! Regular shampoos are pretty harsh on hair. Therefore, if you have dry hair you should look for milder or natural shampoo to wash your hair with. In addition, if you have dry hair you should try to shampoo your hair less frequently, about once or twice a week. Needless to say, if you have dry hair it needs a lot of moisture. Therefore, be sure that your condition on a regular basis. You can substitute a cleansing conditioner for shampoo during one of your weekly washes. In addition, be sure to deep condition once a week to repair your dry strands. When washing your hair you should try to do so with cool water. Hot water when compared to cool water tends to strip your hair of its natural oils. Therefore, this can leave your hair dry. I know that we all love to use some product in our hair. However, a lot of hair products can contain harmful ingredients such as alcohol which tend to dry out hair even more. Therefore be sure to read the labels! In addition, using a blow drier to dry your hair can be very harmful to it. A better alternative would be to let your hair air dry instead. If you must use a blow drier, then our suggestion is to use it on the lowest setting when the hair is damp rather than wet. Colouring your hair or applying chemicals to your hair can be very detrimental to its health. It typically dries the hair out and leaves it very weak. These harmful treatments include dying your hair, getting a perm, or getting hair chemically straightened. It’s not just your skin that can be damaged from sun exposure; your hair is in danger as well. If exposed to the sun, your hair can soak up the sun’s ray which can be rather damaging. Therefore, try to wear a baseball cap in the summer to protect your locks. Your hair isn’t safe in the winter either. Be sure that you wear a knit hat during the cold months since arid air can dry out and damage your hair.